As the name suggests, family dentistry is the branch of our practice that pertains to taking care of your teeth, whatever your age. 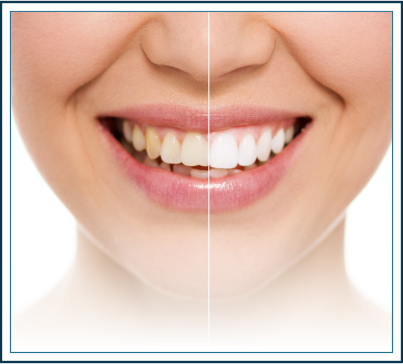 At lasting Smiles of Bethlehem, we aim to improve your smile, maintain your oral hygiene and the cleanliness of your teeth and mouth, regardless of your age and needs. 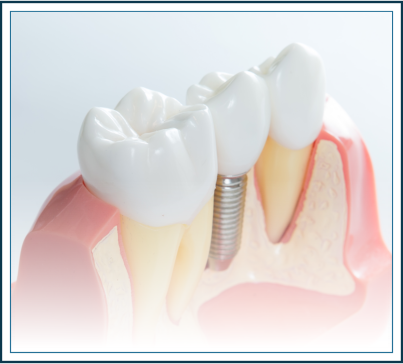 All the dental services from fillings to preventive care, to teeth bonding as well as dentures, are provided under one roof. You don’t need to go all around town seeking for proper dental care for your children or your elderly .. all is done here. What is the difference between a general dentist and a family dentist? This is probably the question you would ask yourself before going to see a specific dentist, or even switching practitioners. 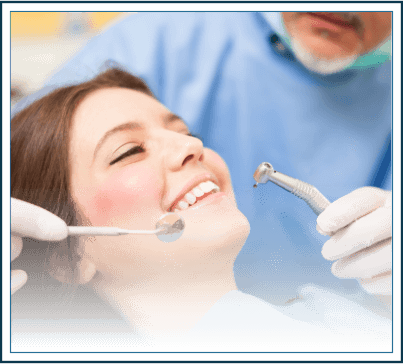 Often, both terms are used interchangeably, and that is because the services provided by general dentists and family dentist are pretty much the same. The only difference may be the training that both receive. While general dentists train for years before becoming practitioners and providing services such as teeth cleaning, fillings, crowns and bridges, and root canals, they probably have an age restriction when it comes to patients they treat. You would often find that your dentist would not treat your 5 or 10-year-old child, or cannot take care of your denture as it comes to repairs and maintenance. That is because their training has restricted them to treating a specific category of patients, who face specific problems that they are capable of handling efficiently. Family dentists are different. In addition to the general dentist training, they have gone above and beyond in their qualifications to be able to treat nearly every problem that occurs at every age. General dentists usually restrict their patients’ age to between 16 to 50 (which is the age of adulthood in their definition, as less than 16 is considered a child, and more than 50 is considered geriatric); however, family dentists do not have that restriction. You can visit a family dentist if you or any member of your family has a problem with their teeth, and they can treat it effectively. What is the difference between a family dentist and a pediatric or geriatric dentist? Well, pretty much the same answer as above. While pediatric and geriatric dentists receive ample training to treat their specific age groups, family dentists have the best of both worlds. They are adequately trained to provide excellent services for a 10 year old child that needs his teeth filled or his fissures sealed, as well for a 60 year old woman who needs her denture cleaned and repaired. Of course, a family dentist cannot treat every problem with children or the elderly (that what these specialties are for) but he\she can be of great help when it comes to general problems that don’t require an intervention from a specialist. What kinds of services do family dentists provide? 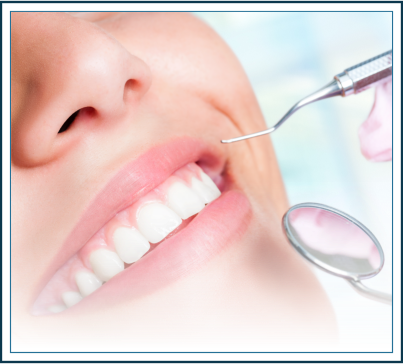 Family dentists are trained and equipped to provide nearly every possible treatment option there is in the field. If you have a broken or chipped tooth that needs a root canal, or if your spouse needs her tooth capped after a crack occurred, a family dentist can provide that for you. Similarly, if your child needs to have one of his\her baby teeth removed, or a simple filling or deep fissures sealed, a family dentist could be of service. For the elderly, a family dentist would be of great help if they need their dentures repaired, or if a tooth becomes so loose that it needs to be removed. This is probably one of the most important jobs of a family dentist. While general dentists or specialized dentists have no time to properly educate you and your family on how to properly clean their teeth and maintain their oral hygiene, it’s in a family dentist’s job description to properly educate you and your children on how to brush properly, what type of brush and floss to use, and the importance of frequent check-ups to discover any minor problems that may be treated easily. The same goes for the elderly, where a family dentist could be a great educator when it comes to cleaning and maintaining dentures, and the correct way to take of old teeth and gums. Fear of the dentist is a globally recognized phenomenon. In fact, some would say that 60 % of the world’s population is afraid of their dentists. Most of these fears arise due to the traumatic first experience of a child with their dentist. A family dentist is properly trained to avoid that situation. One of a family dentist’s main concerns is providing a care-free, easy and cosy environment for children ( as well as adults) and making their trip to the dentist a pleasant experience, and developing a healthy, friendly relationship with their dentist that may be the difference between proper oral care and perfect teeth and lack thereof. 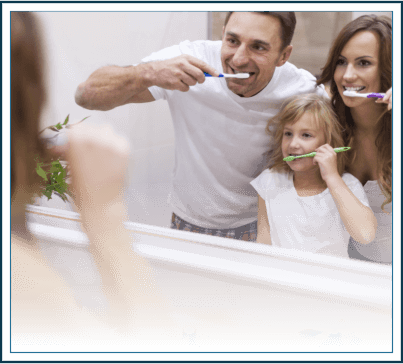 One of the main objectives of a family dentist is preventive care. The biggest problem of teeth is not root canals, or having to extract them .. it is neglect. Almost every painful procedure that you encountered at a dentist’s office could have been avoided if the problem was detected early. For example, a root canal would not have been needed if the cavity and decay was detected early, and only a simple filling would have been needed, and an implant would not have been needed if the attempt to save the tooth with a root canal or a crown has been done before this stage was reached. A family dentist can detect these problems early, not only for you but for your child as well. A great number of problems with children’s teeth could be avoided by the use of pits and fissure sealants, and the need for braces would decrease if your family dentist detected a problem with the teeth and jaw development during a routine visit. In short, a family dentist can do everything a general dentist, a pediatric dentist and a geriatric dentist can do, you don’t need to see different doctors for different family members. Want to learn more about Bethlehem Family Dentistry?